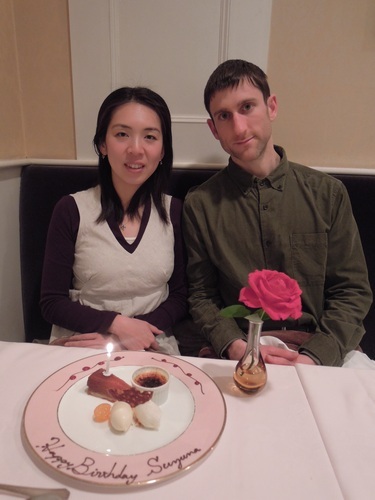 This year for Suzuna’s birthday, we went to the same fancy French restaurant as last year. Happy Birthday! The letters on the plate are in English not French or Japanese.